Infant Earthworm Costume By: Fun Costumes for the 2015 Costume season. Most people take one look at worms and go 'ewwww!' When people take a look at this little worm they will say, 'awwww!' You should let this little worm wiggle into your heart! 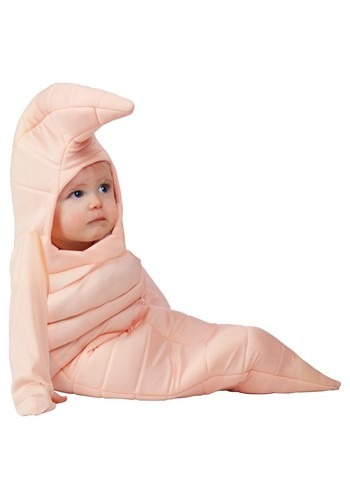 This Infant Earthworm Costume is a cute, comfortable, and cozy costume for babies.